the application of AWP is a combination of process and technology that is heavily influenced by sociology. This means that it is not enough to know what needs to happen, or to have the tools to do it, we must also help people to want it. Having the capacity to generate this level of influence is a key skill set for our change agents. It typically comes in the form of an old bull’s quiet confidence, mixed with an infectious enthusiasm for continuous improvement. So, while we have been working with the industry over the last 10 years developing a comprehensive understanding of what needs to happen, we have also been busy building the capacity to make it happen, through the acquisition and development of the right people. 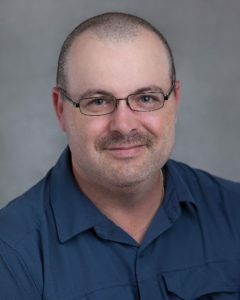 A Texas-based Canadian from Australia, Geoff Ryan is a Project Management Professional who started to explore the business of construction productivity as a Pipefitter in 1992. After several mega projects in Alberta, working as a productivity specialist for Fluor, KBR and Jacobs, Geoff started his own company in 2006. Over the last twelve years, Insight-wfp has grown to a staff of 15 who have provided support for more than 30 mega projects in Canada, the US, Europe and Australia and has grown to be recognized as the go-to service providers for Workface Planning and Advanced Work Packaging. 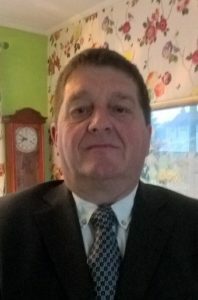 Geoff served on the COAA Workface Planning committee for 10 years starting in 2003 and was one of the key contributors in the development of the industry model for Workface Planning. Working in support of the CII committees for Advanced Work Packaging, Geoff’s company also hosted case studies for the University of Texas on several of their projects. While his day job was helping mega projects to be organized Geoff also worked evenings and weekends as an instructor for the Better SuperVision program and taught project management through McEwan university. In 2009 Geoff published his first book on construction productivity: ‘Schedule for Sale, Workface Planning for Construction Projects’, which sold more than 4000 copies on 5 continents. In the time since the book was published the industry and Insight-AWP evolved from Workface Planning to Advanced Work Packaging, so Geoff has now published his second book: Even More, Schedule for Sale, Advanced Work Packaging for Construction Projects. A newly minted grandfather, Geoff is the father of four adult children and half of a team that is closing in on 30 years of marriage. In his spare time, Geoff likes to fly as a VFR private pilot and hang out at the family cabin. Made in Australia and matured in Fort McMurray, Chloe Ryan was probably always destined to enter construction. She resisted for a couple of years after graduating high school but eventually succumbed to the allure of a new adventure every day and challenges that begged for organisation. As a Level 1 welding inspector, she was responsible to establish and execute Quality Control programs for a series of Alberta companies that covered everything from mega projects to backyard welding shops. Don’t be fooled by the easy-going nature and welcoming smile, her attention to detail and dogged determination for perfection are elements of a character that commands results. With her foundation of construction knowledge established, Chloe joined the Insight-AWP team in 2017 and is currently responsible for business administration and all things complicated. This includes media relations along with safety oversight and the application of quality controls programs. Her oneness with technology has proven to be very useful as she tackled safety, immigration and logistical coordination for team members in a wide range of locations and countries. A Self-confessed collector of lost puppies (cats, people, etc.) Chloe is also loyal to the people she cares for, proven out by her years of support for the Edmonton Oilers, which started in the dark years before McDavid. Brett Huntley is a BC boy at heart, but like so many others, he made the move to Alberta to seek his fortune in 2010. Using his skills as a Pipefitter and as a Supervisor to execute projects from the field on a series of mega construction projects. It was this experience and frustration with the existing construction processes that made Workface Planning an epiphany when he first encountered it in 2012. After executing work based upon Installation Work Packages (IWPs) in the field, Brett took the opportunity to move into WFP management with Flint in 2013. As a Workface Planner he was introduced to the 3D model and a world of information management and communication, that set him on a path to where he is now. Several projects later he joined the Insight-awp team on the Shell Carmon Creek project in 2014 as a WFP Coordinator. After assignments in Saskatchewan and Belgium on mega projects, Brett is now a key member of the Valero AWP team in Houston, utilizing his skills to deploy smart construction software and field level WFP execution. Being a family man means that Brett’s wife and daughter are also well travelled, following him on assignments to Edmonton, Calgary, Antwerp and now Houston. While stationed in Belgium Brett’s daughter attended kindergarten in Dutch, where she adapted quickly, as children do. The Huntley’s are confidant that she will cope just as easily with the Texas accent. Grandir dans la langue maternelle du Nouveau-Brunswick, Canada Jeff est Français, même si vous ne l’entendez dans son accent. (Growing up in New Brunswick, Canada, Jeff’s first language is French, although you can’t hear it in his accent). After completing a Steamfitter training program in Saint John, Jeff and his wife Tammy, traveled to Edmonton in 1998 to start his apprenticeship and their lives as Albertans. In 2002 the UE-1 project for Syncrude in Fort McMurray saw Jeff take on the role as trainer and administrator for KBR’s Last Planner program, which would turn out to be the foundation for the evolution of Workface Planning. After a short time with Jacobs, setting up WFP projects across Alberta and a COAA award for the Best application of a Best Practice, Jeff joined Insight-AWP as their first employee in 2007. He spent the next 4 years as the WFP manager on the SER project for Syncrude, where he also oversaw materials and documents for the Owner. The success of the project led to assignments with Insight-AWP on two more projects in Fort McMurray, then Saskatchewan and now he is on his second project in Houston. Jeff’s diligence and vision applying ConstructSim software was a major contributor to the “Be Inspired ‘ award given by Bentley to his first project in Houston. Like many Canadian transplants, Jeff is torn between his allegiance for the Montreal Canadians and his new love the Edmonton Oilers. His wife and two teenagers don’t have the same problem and typically make it to at least half of the home games always wearing their Oilers jerseys, making good use of Jeff’s season tickets. Marco de Hoogh, lived every child’s dream growing up in Calgary, Alberta, his family owned a chocolate factory. 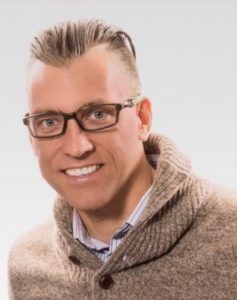 Immigrating to Canada from the Netherlands at the age of 12, Marco brought with him a love for voetbal (soccer) and a natural skill set for systemic analytics. This led to a General Business Diploma from Mount Royal college and a series of web development and GIS training programs at the University of Calgary. After working for a decade as a Technical Coordinator in the GIS and digital mapping sector, Marco joined the Oil and Gas industry with Nexen as the Technical Lead in their Workface Planning Team. During this time he managed the implementation and use of ConstructSim software in support of the very successful Workface Planning program. On behalf of Nexen, Marco also consulted with Intergraph during this period, helping them to shape the functionality of their WFP software, SmartPlant (Smart) Construction. Working with Intergraph on Smart Construction since its inception gave Marco a knowledge base that led to a posting with them in Europe in 2013. After returning to Calgary in 2014, he joined the Advanced Work Packaging team at Fluor and was instrumental in developing their processes and procedures, as he helped them to establish AWP on several mega projects. Joining the Insight-awp team in 2016 in Kansas City, Marco quickly became a key member of the organization. His first assignment was followed by positions in Antwerp, Belgium and Houston Texas, where amongst other things he was responsible for developing the framework that has shaped the structure of the model for Information Management. His acute understanding of the technical requirements needed to stand up the WFP software, mixed with the foundational knowledge of how Workface Planning is applied in the field, is a unique skill set that has brought significant benefit to the Insight-awp clients. When he is not at work he can be found yelling at the TV during soccer games, coaching soccer or spending family time with his wife and two teenage sons. Marco says that he “was privileged to coach several highly successful adult teams” that included Alberta Provincial Champions and teams that won medals at Canadian National Championships. Stew is a driven and focused individual with an infectious energy and a love of sport. His passion earned him a spot on the Canadian Track Team as a Javelin thrower, which led to his enrollment in Physical Education at Augustana University College. After graduation in 1998, he made the leap into professional sports as a hockey player in Australia’s Super League. Stew started his career in construction as a carpenter/ scaffolder over 20 years ago working on a series of mega-projects through the Carpenters’ Local 1325 Union. He fine-tuned his organizational skills in progressive assignments as a Foreman, General Foreman and then as a Civil Superintendent before graduating into Project Management. Along the way, Stew also took a keen interest in safety management and has earned his NCSO certification along with accreditation as an Emergency Medical Responder, Rope Rescue Technician, and Firefighter. He continues to train teams in rope rescue as time permits. Stew’s engagement with Workface Planning started when he was a Civil Superintendent on a multi-billion $ mega project where he was responsible to apply the process and direct the Workface Planners. 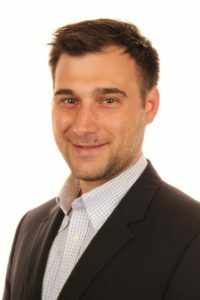 He joined the Insight-AWP team in 2012 as a WFP Subject Matter Expert and has worked on assignments in Fort McMurray, Fort St John, Calgary, Saskatchewan and now Houston. His role as the field coordinator is where the rubber meets the road and where his ‘show me’ attitude and ability to organize stakeholders into a team, focused on a common goal, has paid off big for projects. Stew was a member of the Insight-wfp team that were awarded the “Be Inspired’ award from Bentley for the best global application of WFP software in 2016. In his spare time, Stew is coaching hockey and developing an acreage in Beaumont, Alberta that comes with a man cave, skating pond and eventually a house, which will be the perfect environment to raise his ‘soon to be’ teenagers with his wife. 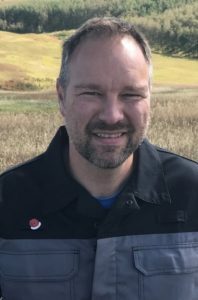 A relocated Labradorian living in Edmonton, Alberta, Lorne Sooley is a Geomatics Technologist who started work in the oil exploration/construction field after graduating in 1998. He first dove into the industry as a navigator on an offshore seismic exploration vessel. After four years he came back to land and started surveying in Northern Alberta. In 2010, he switched gears and started Workface Planning for Graham Construction on the Syncrude site. After four successful years of planning, scheduling and project controls, he joined the Insight-wfp team. Lorne’s first position with Insight-wfp was to support the development of Construction Work Packages for Shell on their Carmon Creek Project in Peace River, Alberta. He then went on to the Northwest Refinery in Redwater, AB, where he was a member of the team conducting Time on Tools studies and WFP audits across the various contractors on site. His subsequent assignment as the Project Management’s WFP Coordinator in Unit 40 helped the project get across the finish line by overseeing the contractor’s execution of Workface Planning. Lorne’s role now is to manage the Time on Tools remote database and to conduct Time on Tools surveys on the various Insight-awp projects. Lorne is the loving father of a teenage son and a pre-teen daughter, whom he and his better half of over 16 years of marriage bliss, have become taxi drivers for. In his spare time, Lorne loves to play, coach and promote his favorite sport, lacrosse. When the lacrosse season is over, he can usually be found spending time with his family and their Labradoodle, Coco. If Steve Ward’s accent is not a dead giveaway then his no-nonsense attitude certainly does tell you that he is from Yorkshire (err, by gum). Growing up in Leeds in Northern England, which was at the time was the global center of the rag trade, Steve started a career in the textile industry, which led to the management of a series of factories in the 1980s and 90s in both England and Australia. The migration of industries to low-cost manufacturing in Asia in the early 2000s moved Steve into a new role as the hatchet man. His role was to make Western factories competitive through the application of technology and processes or shut them down. His haul of Christmas cards each year started a steady decline but he soldiered on and was responsible for finding niche markets that kept some factories open. His move to industrial construction started in 2016 when he joined the Insight-AWP team as a productivity specialist on a project in Antwerp, Belgium. Steve brought with him his intolerance for process waste, which was a sobering influence on the team’s acceptance of ‘normal for construction attitude’. Applying this new level of scrutiny to construction processes showed the clients both, how big the gap had become between construction and manufacturing and also what was possible. Steve’s Tool Time studies and cause and effect reports had a significant influence on the project management’s day to day activities and helped them to narrow their focus and address real issues that affected positive change. Steve’s next Insight-AWP assignment has started out on the same track with his no-nonsense attitude and black and white version of productivity, shining a light on issues that were hindering the flow of scope execution. Steve’s weekends are all about his grandchildren and his beloved Leeds United Soccer club, who are taking yet another run at promotion by leading the table so far this year. 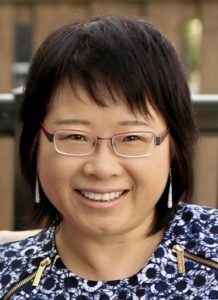 After obtaining her Ph.D. degree in Applied Mechanics from the University of Calgary in 2003, Rong (Emily) Qian started her career in the oil and gas industry as a Research Engineer/Software Developer in Artificial Lifting. Her work on sucker rod pumping systems optimized production and led to reduced costs. 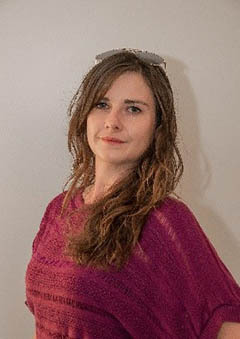 In 2008 Emily became involved in the research and development of Workface Planning as part of a team that was awarded funding for three projects from the Natural Sciences and Engineering Research Council of Canada (NSERC) and the Alberta Government. The projects developed an algorithm for construction management in the electrical industry, an application of Multi-Agent Simulations for Advanced Work Packaging and tools for the application of Instrumentation Management for Mega Projects. The research led to the development of software that was applied to industry. During her subsequent engagement with Nexen and then Fluor as a member of their Workface Planning teams, Emily added valuable hands-on field experience to her strong theoretical knowledge. Her expertise with AutoCAD, ConstructSim and SmartPlant Construction was fine-tuned by building software interfaces that automated the integration of project data between engineering, procurement, logistics, and construction. This culminated in the development of a standard for construction progress scorecards and a dashboard for Key Performance Indicators. Emily also served on the Construction Owners Association of Alberta (COAA) Workface Planning committee for 2 years starting in 2008. Working with the subcommittee for standards of compensation for Workface Planners. Emily joined the Insight-AWP team in 2017 and is a key member of the Calgary based remote IM team that supports the suite of Insight-AWP projects. As the mother of a young daughter, Emily also enjoys Chinese painting, reading, and skiing with her family. Dennis Meads has almost 20 years of productivity engineering experience in the industrial construction industry. 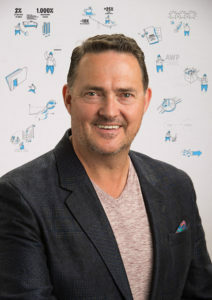 A pipefitter by trade, an entrepreneur at heart and an educator by nature; Dennis has become one of Canada’s leading performance and organizational management specialists and is recognized internationally for his contributions to Workface Planning and Advanced Work Packaging. Following graduation, Dennis began his career on the tools managing his own piping mechanical business. As an owner/operator with service contracts for several large institutions, Dennis honed his technical skills and developed long-term relationships built on the foundational values of exceptional service, high quality, and a solutions-driven approach. In 1986 Dennis joined the Northern Alberta Institute of Technology as an instructor and taught the pipefitting apprenticeship programs for over ten years. Joining Fluor in 1998 as a performance engineer, Dennis participated in projects across Canada with oil and gas giants Nova, Syncrude, Shell, Imperial Oil, and Irving Oil. His role included the Implementation of productivity programs, training seminars, re-engineering management processes, optimizing organizational behaviours and conducting tool time/equipment utilization studies. 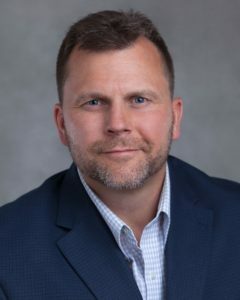 After 7 years with Fluor, Dennis joined NEXEN Inc. in 2005 as a performance engineering in the Major Projects business unit, where he led the development and implementation of a competency framework for construction personnel. He also established and managed the Advanced Work Packaging and Workface Planning department and went on to facilitate several other construction productivity initiatives. During this time Dennis was also an active member of the COAA Workface Planning committee where he participated in several subcommittees and presented WFP and AWP at a number of the annual conferences. In 2014, Dennis joined Insight-AWP as an AWP specialist and has been providing advanced work packaging support, tool time expertise and productivity mentorship to megaprojects in Canada, the USA, and Europe. Born and raised in rural Alberta, Dennis is the proud father of six children and blessed Papa to seven grandchildren. Growing up in Toronto, Ontario, Dany grew up with Blue Jays baseball in the summer and Maple Leaf hockey in the Winter, so he understands the struggle, hope and the occasional sweet taste of victory. Understanding that link between organizational structure and reaching the playoffs has worked out to be a good foundation for his current role as a coach for Advanced Work Packaging. Along the way, Dany spent 10 years working as a Master Electrician before moving into Workface Planning and Advanced Work Packaging, which lead him to the study of project management and his designation as a Project Management Professional. Dany joined Insight-AWP in 2014 on the Carmon Creek project for Shell, after several assignments as a Workface Planner for KBR and then Fluor. His next appointment through Insight-AWP was with a contractor in Saskatchewan who experienced such a significant change in their productivity levels that they became the contractor of choice for the region. After conducting assessments on several mega projects, where he used his analytical skills to map the existing processes against desired results, Dany moved into his current role as the AWP coach for a project in Belgium. His command of Romanian has proven to be very useful on the project that has a large number of Romanians, along with 16 other spoken languages. Knowing that technology, process, and people are interdependent to each other. Dany’s data management skills, mixed with his first-hand field experience and his easy smile make him a very effective AWP change agent, proven out by his positive results, project over project. Dany has taken full advantage of his assignment in Europe and has traveled extensively in his time off, befriending people across the continent and England, which has seriously endangered his single status. Chaitanya Viswanadha graduated with a Bachelor’s Degree in Mechanical Engineering from Gayatri Vidhya Parishad College of Engineering and now has more than 10 years and 18 major construction projects of industry expertise in the deployment and administration of Smart Plant Reference Data(SPRD) and Smart Plant Materials (SPMat). 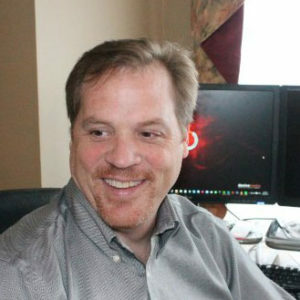 He started his career at Intergraph where he trained a team of 20 spec writers across North America, Asia and Australia to work in the development of SPRD and SPMat. His time in development helped him to acquire a definitive understanding of the ASME codes and standards. He was later hired by Jacobs Canada and was instrumental in implementing SPRD as a global spec management tool. 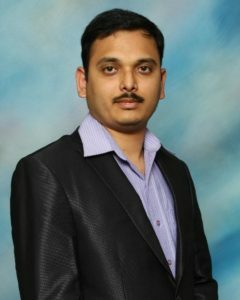 At Insight-awp, Chaitanya is a key member of the remote administration team and works as a systems administrator and materials coordinator, deploying SPMat from Calgary for projects in the USA. Chaitanya has been married for 5 years and is the father of a 2 year old, who always keeps him on his toes. He is highly fascinated with cars and gadgets and enjoys browsing with them in his spare time. He is also a keen traveler as time permits and is working diligently on his dream to visit all the beautiful places on earth. Ryan started out with a dream to be a 3D Animator and took night courses to get into the emerging field. 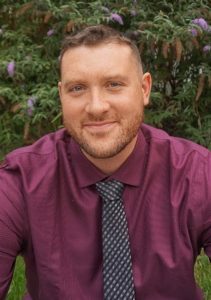 After graduating with honors Ryan worked with the Air Command center based in Winnipeg animating marketing materials and producing graphics as needed. Ryan went back to school fulltime and learned everything he could about marketing and communications in the digital world. With stints as a video producer at Telus and a Project Manager at Axia Net Media producing both interactive and online training materials he decided to go his own way and started Device Media. Ryan Bonnell has since worked with hundreds of companies helping them realize their marketing goals and strategies. 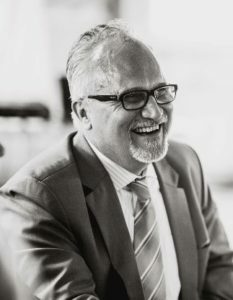 An avid lover of information, businesses he has enjoyed learning about each and every business, their process, their markets and the best way to serve them. Working with SME’s in health, sciences, retail, agriculture, professional services and more he has helped them streamline their online platforms and has been instrumental in developing processes that help owners get business done effectively and efficiently.